I thought I was done with the holiday gift guide on Saturday but I just found out about something that I just had to add. For the design lover that likes to know what day of the week it is... Limited Edition Letterpress Wall Calendar. I've always had a soft spot for letterpress. For my birthday last year Aaron got me a letterpress class at the Genesee Center for the Arts and Education. Sadly, I traveled so much through the summer we were never able to nail down a Saturday to take it. I think letterpress is having a resurgence. Nothing quite beats the heft and texture of letterpress. 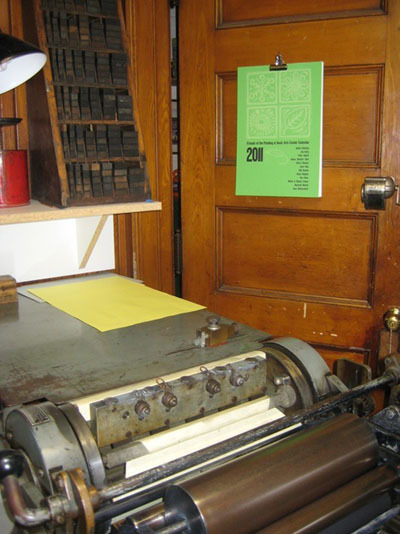 There was even an article in the last issue of City Newspaper about letterpress. When @RochesterArts emailed me today about this fantastic letterpress calendar with each month from a different local artist I was practically drooling. I like the "Robot Love" one - too cute! 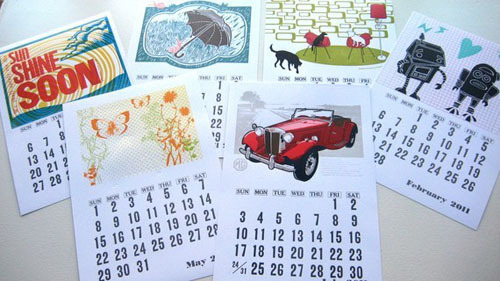 I too love the weighty texture of letterpress items.. this calendar is indeed be a wonderful gift! What a great gift...I love it!